Ankit Baraili of Butwal with his under construction hybrid car. 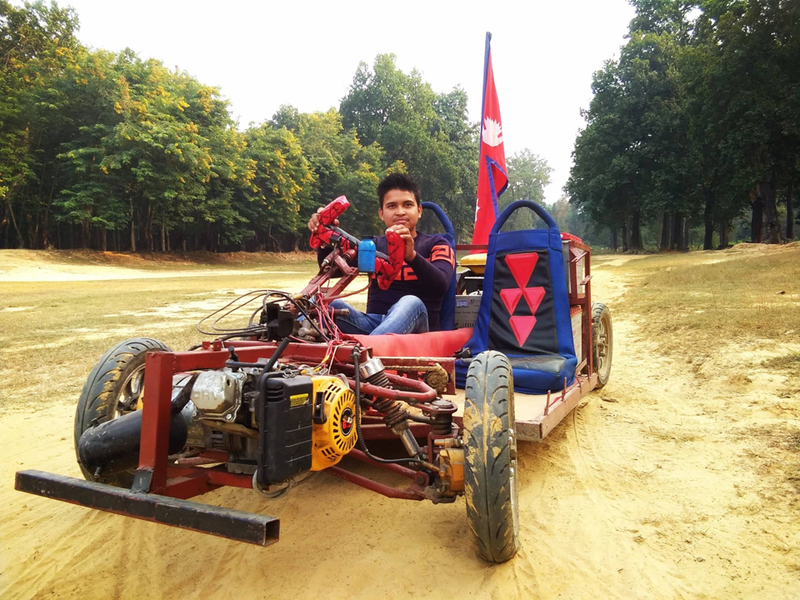 RUPANDEHI, Feb 19: Showing his incredible mechanics, a twenty-two years old youth of Butwal has raised many eyebrows by making a hybrid car which operates with both electricity and petrol. Ankit Baraili of Butwal Sub-Metropolitan City-11 has built a car using locally available tools and equipment. It took him two years to build this car but he is yet to work on its exterior design. The car can accommodate two people including the driver. Ankit has already conducted a test drive on the roads of Butwal several times. His car consists of five batteries, each of 12 volts capacity. He claims that the vehicle can run 150 Km through a battery and around 200 Km from 15 liters of petrol. According to him, his car will not consume much petrol as it is light and has few equipments. In order to promote the international tourist destination Lumbini, Province 5 is preparing to bring electric buses into operation. In the meantime, the effort shown by a Nepali youth to build an electric car utilizing the equipment locally available in the country has been an example. Ankit holds a diploma in Vehicle Mechanics from Korea Nepal Institute of Technology (KNIT). He says it is not difficult to build an electric car if we acquire enough knowledge and manage resources. 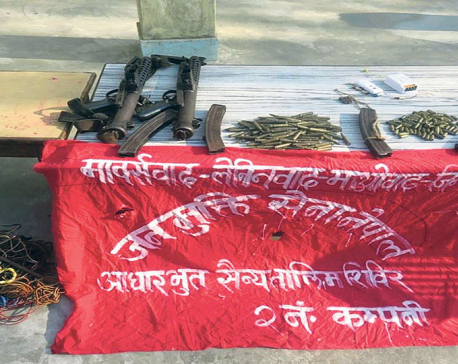 "I want to do something new for the mechanical sector of the country," said Baraili. The car can run a speed of 45 km per hour. By spending almost a year, Baraili has sketched the design of the car. "Now, all I need to do is put the outer cover and my car will be ready," he added. He has decided not to put a roof cover on his car. Sushil Thapa of Chauraha has been assisting him for his invention. "So far I have spent around Rs 400,000 on this car," said Baraili, adding, "I have not been able to precede the designing work in lack of money." He estimates that painting the car will cost around Rs 50,000. Despite putting so much effort and dedication into creating something new for the country, he laments that he has not received enough appreciation. He has been living with his mother who cannot afford to invest in his car. Baraili has not been able to continue his education as his mother's income is not enough to pay his fees. He appeared in the School Leaving Certificate (SLC) from Scholars Home Boarding School in 2013. His mother Chandrakala Baraili is worried about the future of her young son, as she always sees him with his car. "I don't see others appreciating or acknowledging his invention to take this as a profession," laments Chandrakala. He has urged the government to help him promote his invention to places. "My family can't afford my education. It would be great if the government helps me to get education. If I become a mechanical engineer, I will work for my nation," said Baraili.